A main criterion when selecting the terminal equipment was to comply with the Californian environmental regulations that have the world’s most stringent demands on emission levels. 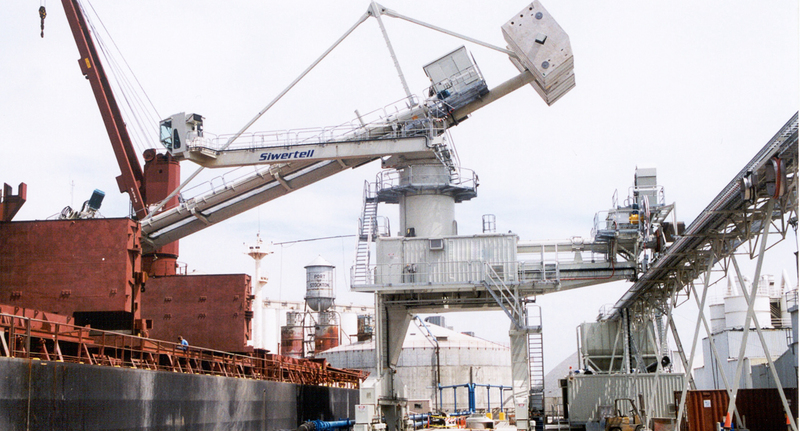 The Siwertell continuous screw-type ship unloader is equipped with side tilting function of the vertical arm, operator’s cabin, central lubrication system, belt lifter and a clean-up unit. With a totally enclosed conveying system from inlet to outlet, thus working under negative pressure, as well as the belt lifter transfer system to receiving screw conveyor and pneumatic conveying system, the unloader complies with the Californian emission regulations. 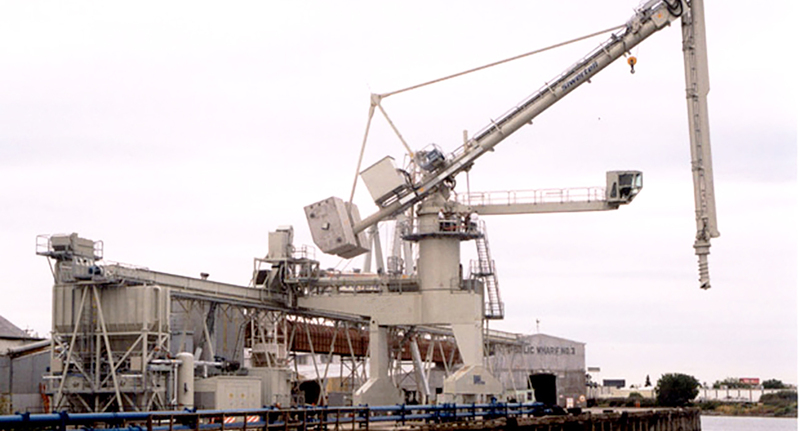 The ship unloader is equipped with an operator’s cabin and a tilting function for the vertical arm, which is a motion perpendicular to the horizontal arm for improved reach in the ship’s hold. A tailor made gantry design for distribution of the load from the ship unloader in order to meet the permissible load level of 15 tonnes/wheel was also a vital part of the project.